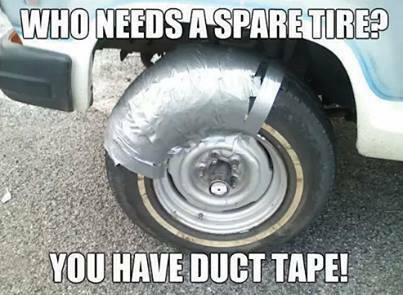 We weren't even thinking THAT far when we said duct tape was one of the Top 10 Things to Bring to the Track. We may have to move it up a few spots from No. 5 after seeing this.